PrimaLuceLab is an innovative enterprise (iSRL) that designs, manufactures and works with companies all around the World to create instruments for the astronomy and radio astronomy providing solutions to address the study of these sciences in a more simple way. Made up of amateur astronomers with many years of experience and deep technical knowledge of instrumentation, PrimaLuceLab is dedicated to those who want to discover the universe with instruments that only a few years ago, were accessible only to professionals. The techniques used are not always easy: that's why PrimaLuceLab, combining scientific expertise and production capabilities, develops new systems that, thanks to compatibility between different components, allows you to explore the Universe with fewer complications and guarantee of results. Astronomy is a fascinating science that can also offer great satisfaction to the amateur: PrimaLuceLab not only offers products that allow you to get real results, but also its passion for the Universe with the best technical service. So you can enjoy watching, taking pictures or carry out your research of the sky with satisfaction. In the field of astronomy, PrimaLuceLab develops instruments dedicated mainly to astrophotography offering to amateur astronomers the best innovations and the results of its own experiences. In the field of radio astronomy PrimaLuceLab has achieved Spider230, the first complete amateur radio telescope in the world, designed also to record radio-pictures of the Universe and is developing new tools for semi-professional applications. 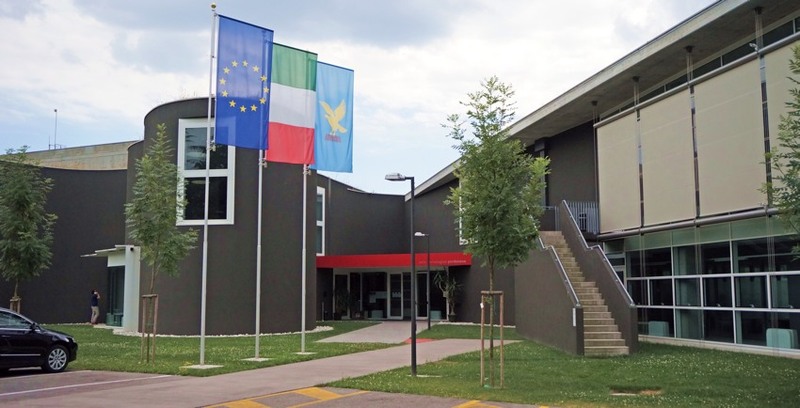 PrimaLuceLab operates within the Polo Tecnologico di Pordenone "Andrea Galvani," which hosts over 40 companies engaged in research, innovation and technology transfer. Here PrimaLuceLab has a laboratory where it designs, manufactures and tests its products; PrimaLuceLab also has a warehouse with many products in stock to deliver in a very short time the products requested by customers, through its e-commerce site. In an area beyond and adjacent, the astronomical instrumentations are installed for field-test of products and technologies. Different instruments are available, installed in 2 different domes: customers can test under the sky our products they are interested in, even before the purchase. I. Assist the customer to guide him to the best choice: take into account the type of activity planned, his specific skills and the expected results, in order to propose instruments and systems made accordingly. II. Select the best solutions to produce what is not present or that is necessary to respond at its best to the expected quality of results, reliability, durability and best quality/price ratio. III. Always provide the added value represented by the in-depth knowledge of the wide variety of instruments, the expertise and the shared passion for astronomy.